Stockholm, 02 April 2019. Anna Laestadius has been appointed as Chief Creative Officer of the Hanover, Germany based TUI Group, overseeing the global development of the TUI brand. Her new role‘s responsibilities includes the Center of Excellence for Brand Marketing & Insights in the Nordics as well as the company‘s development of brand and marketing campaigns. Laestadius follows Barbara Haase, who left TUI earlier this year. „With more than 20 years of experience of driving international businesses, building well renowned brands and transforming them into the digital landscape, Anna Laestadius is the perfect fit for our strong global brand“ says Erik Friemuth, Chief Marketing Officer of TUI Group. „TUI‘s global appeal and power has developed immensely in the past years - today, almost 70.000 people operate under one brand with one face to the customer. This is a great opportunity to help shape its future development“ says Anna Laestadius. Laestadius has been with TUI since 2015 as Chief Marketing Officer of TUI in the Nordics. During her time in office, she has been responsible for the launch of the brand name TUI in Sweden, Denmark, Norway and Finland, established a powerful TUI Nordic Brand & Marketing team and developed the international "For You" campaign. For this, she has been awarded as Marketing Director of the Year in Sweden twice. In her global role, Anna is reporting into Erik Friemuth, TUI Group Chief Marketing Officer. 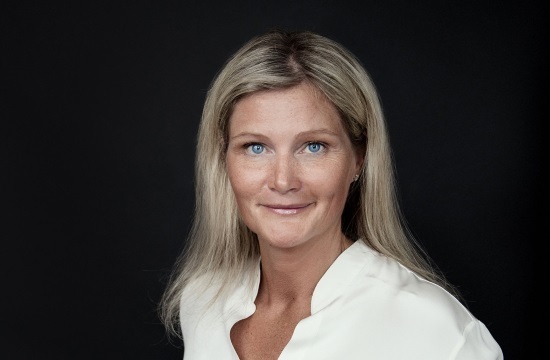 She will also keep her function as Nordic CMO and remain part of the Nordic Board.